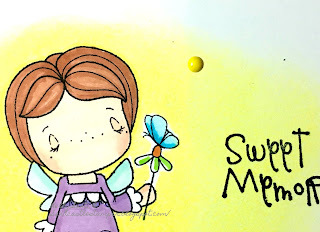 Such sweetness ~ Saturday was Fairy Day! and her challenge is create a fairy card. 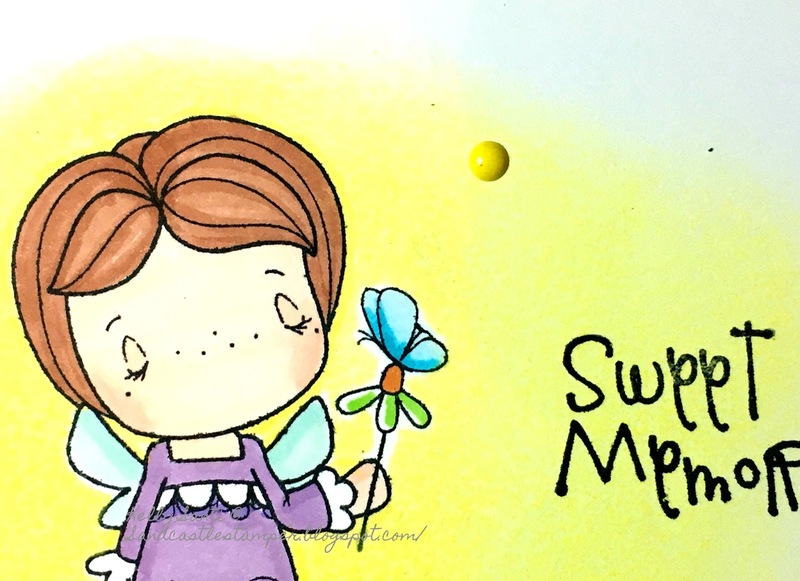 Since she's a 'Swiss Pixie', that makes her a fairy, I'm sure! Something different I've been dabbling with is my collection of inks. like today's simple background work. 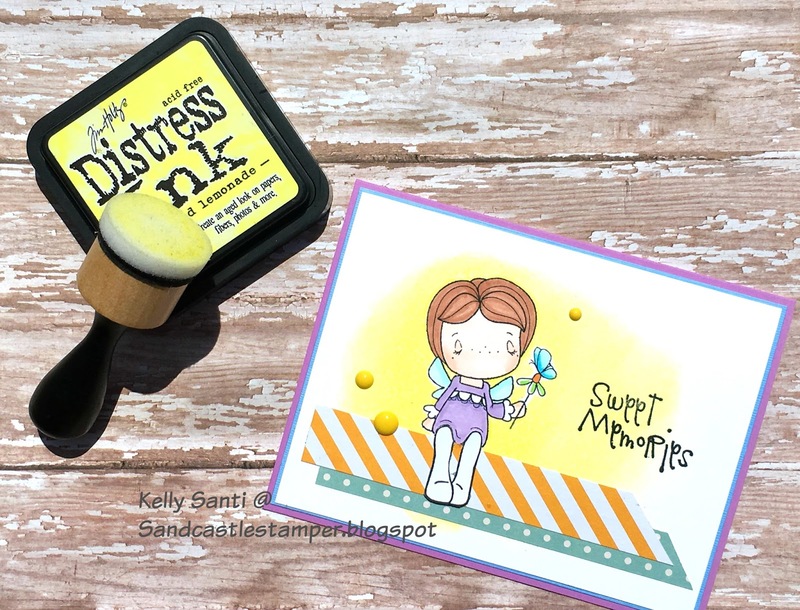 I'm using the original distress ink by Tim Holtz - classic and simple! then started sponging around for a warmth around her. 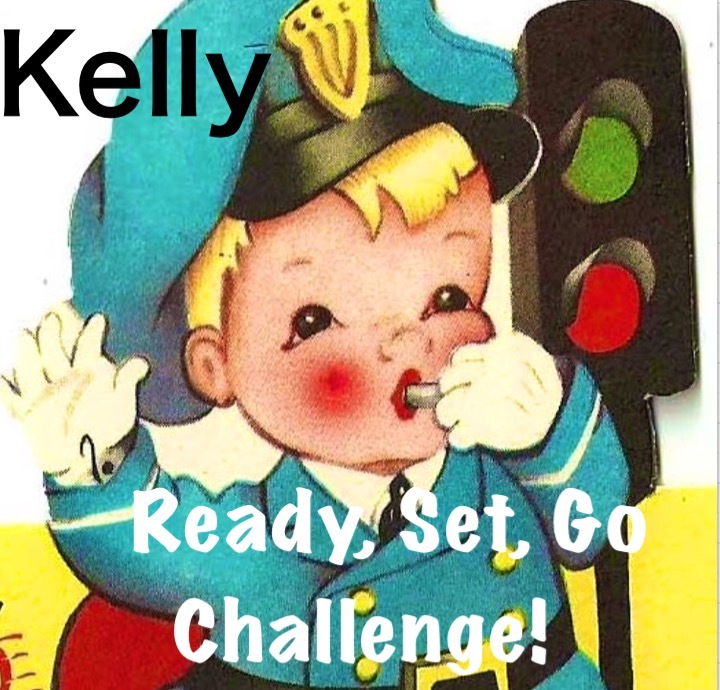 We hope you can join in the challenge this week. If you upload your card to a gallery, like Splitcoaststampers, use the code CCEE1726. CYS: This isn't merlot in my cup! and enjoy a refreshing beverage of choice! the hostess for July in the Challenge Your Stash card group. "make a card showing off your favorite beverage." It's no secret that mine is coffee. But one thing I drink a lot of and is actually a favorite of mine is water! 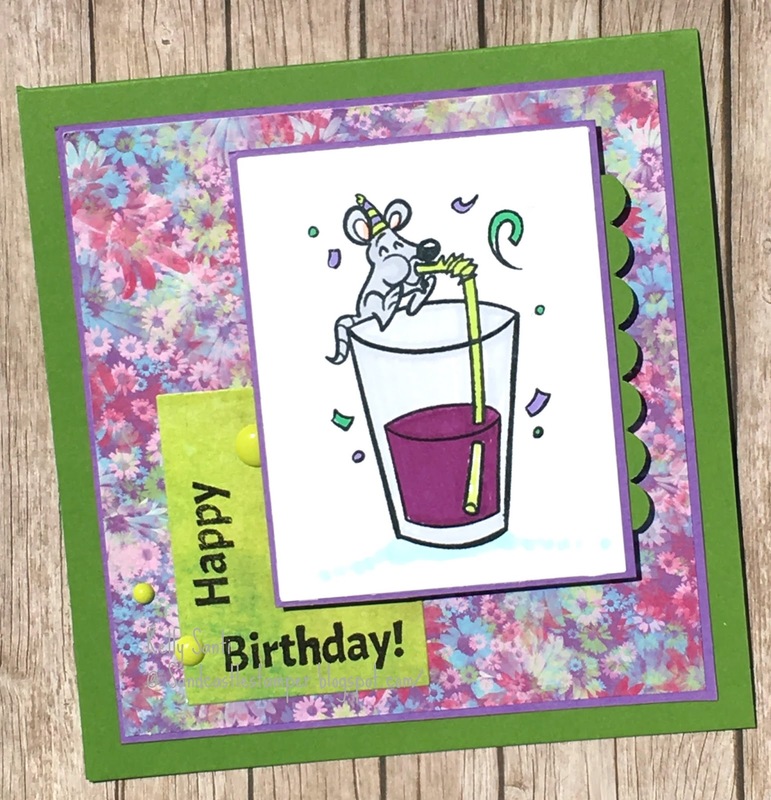 I chose to make a card using my favorite beverage memory. he had a great idea to take us camping. As in .... outside. In a tent. Always up for a good adventure, I was all in. up to the general store to buy grape soda. I wasn't even a big fan of grape soda! and new what the choices were. And I couldn't stop thinking about it - during the day, all night. buzzing "Pick me, Pick me!" and plunking them down into the machine, guzzling those purple beauties. "Been having any cravings lately? Because you are going to be a mom!" and my oldest "grape soda" daughter isn't a fan either. But we sure were back at camp - LOL! I used their sketch, and color combo which you can see here! 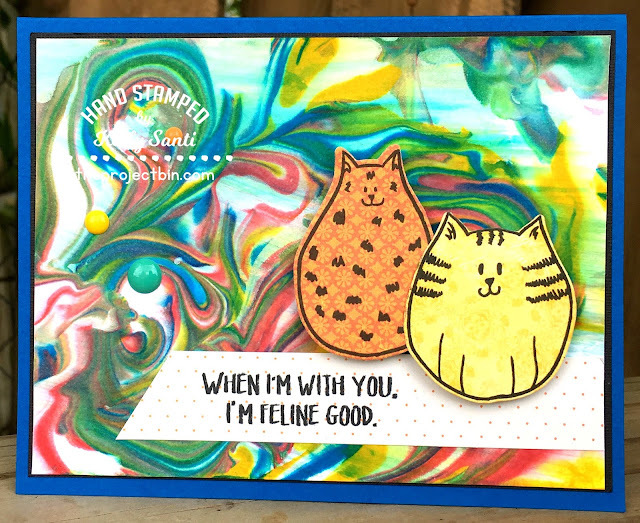 I used a stamp set that might be retired - Quirky Animals. These stamps are a riot. but my blog post is so long and busy, I'll skip the inside. to create the corner Happy Birthday. 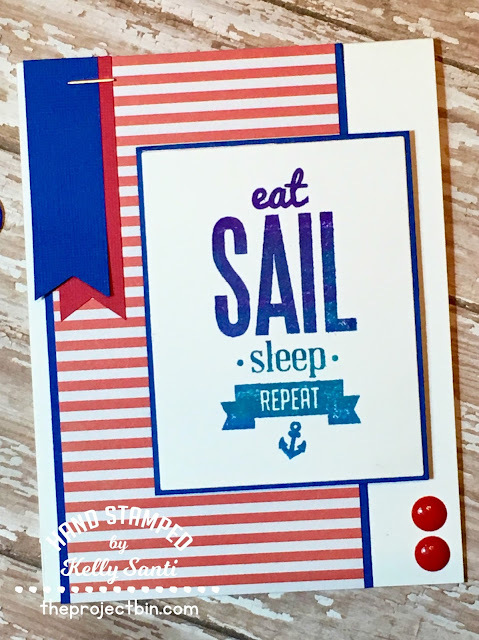 Mondays with The Project Bin ~ Sail, repeat! 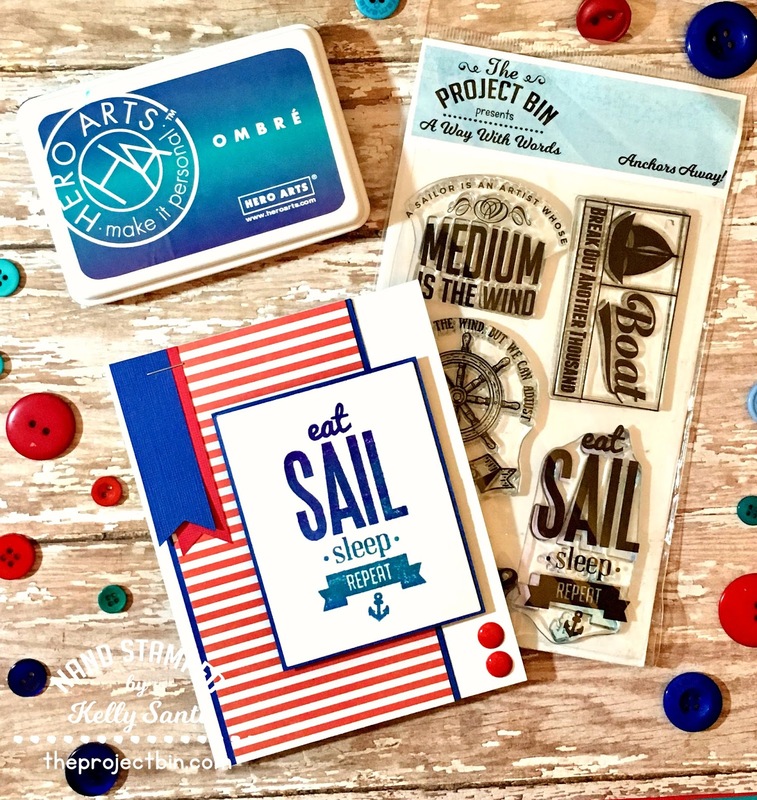 so today I'm featuring 'Anchors Away' by The Project Bin! this week is no exception week: Ombre ink! was very intriqued. No time like the present to give it a try! to have a gradual change in ink color. you'll get more of a striped version of the same look. Equally pretty but stripes with stripes - I wanted a more uniform look. The Anchor's Away stamp set is so versatile. Take a peek at this gorgeous set and let your mind sail away with imagination! Now before you go ~ remember to save the date! with holiday inspirations, cards and giveaways!! Today is National Flamingo Day ~ perfect for us Floridians! magestic in color and grace and they have such a sweet temperment. They are also a great inspiration for art. 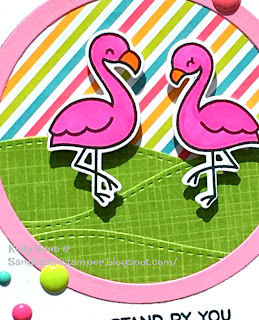 I know, my card is typically "Kelly bright"
I hpoe today is a pink-a-licious happy flamingo kind of day for you! Hi friends and happy World Music Day! 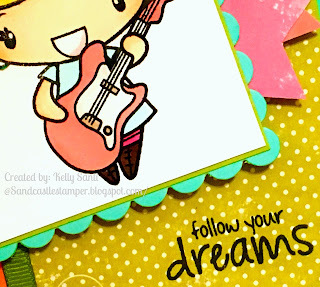 The CCEE Stampers are self described: Cheers + Challenges Eclectic Ensemble! 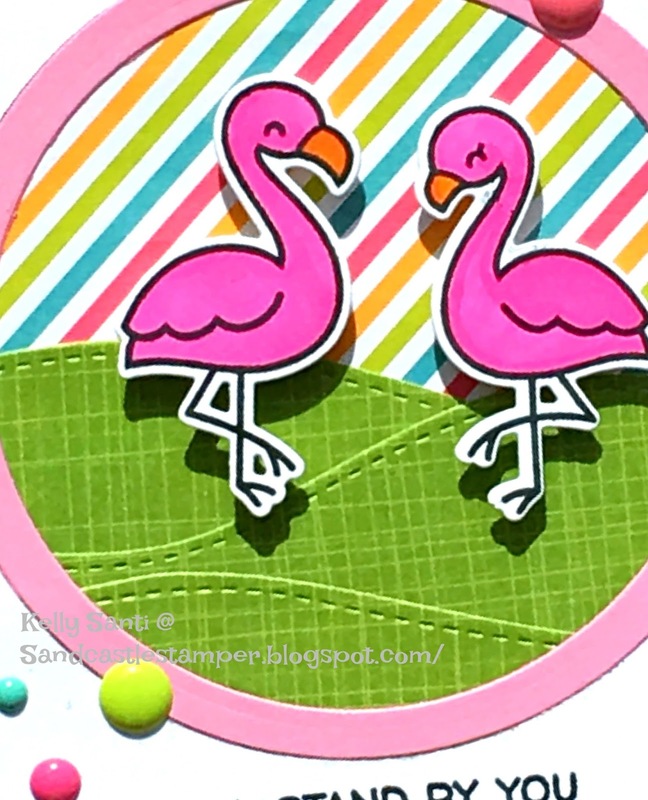 to use as a spring board for card making. Our hostess, Frances, gave us a theme for CCEE1725: World Music Day. 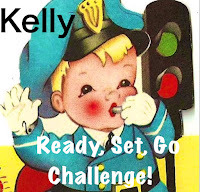 My card is also the 2nd card for my Ready, Set, Go! Challenge group! 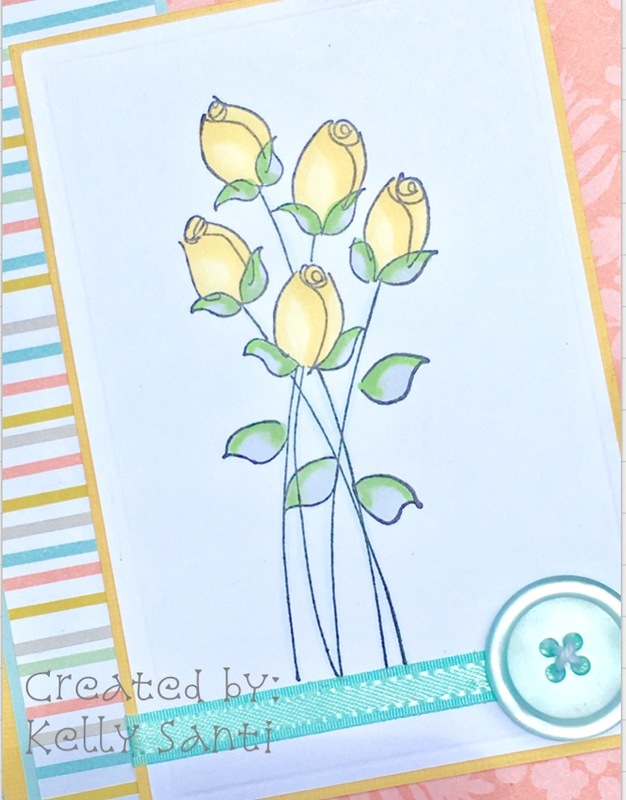 Barb, this month's hostess, and asked us to created a card using R, S and G! 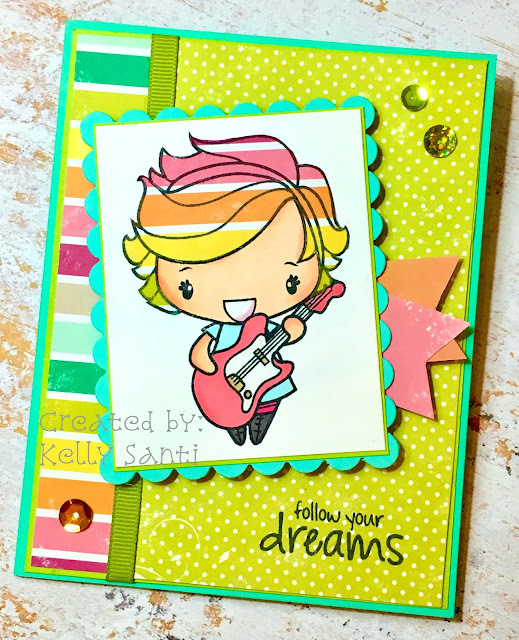 For World Music Day, I used Rockstar Anya from The Greeting Farm stamps. I've had this stamp for FOREVER! as talented with her voice as she is the electric guitar. so rather than color her hair, I paper pieced it with leftover dsp ~ perfect! as it better fits the purpose of the card for her. The RSG! challenge is with 2 of my besties: Barb and Jeanette. we thinking outside the box. Thanks, Barb, for your fun theme! Whew - I appreciate you reading my long post today! 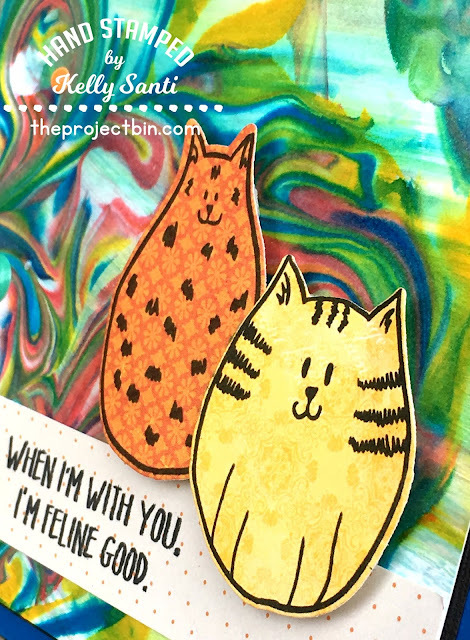 Mondays with The Project Bin ~ Ink Blowing! 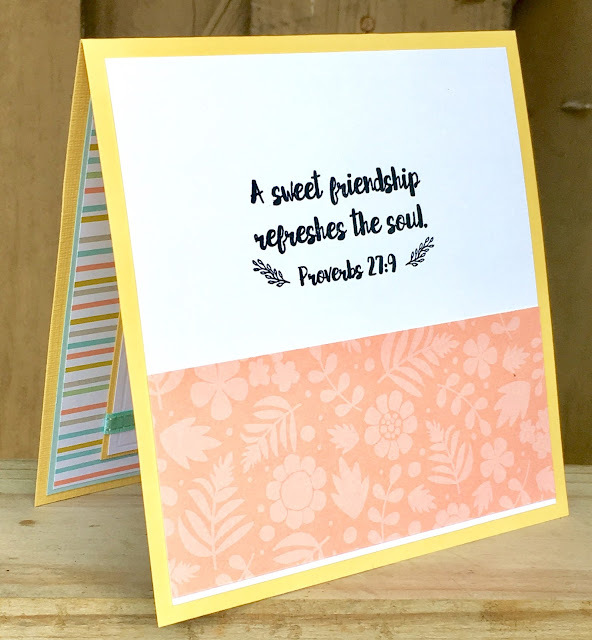 enjoying the adventurous and creative side of stamping. It's Kelly² (yes, two Kellys!) day on the TPB Inspiration blog. 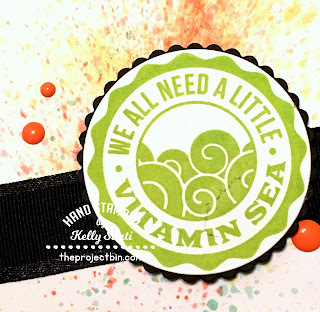 For my TPB cards, I try to incorporate a new technique, like today. card stock, aqua painters, reinkers and a straw. 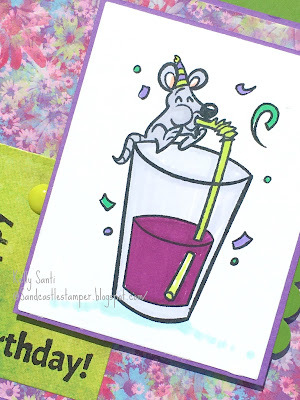 The fun part: I had one of two of those available - the cardstock and straw! 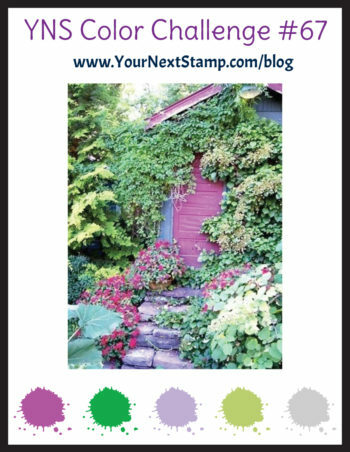 so what does a stamper do? 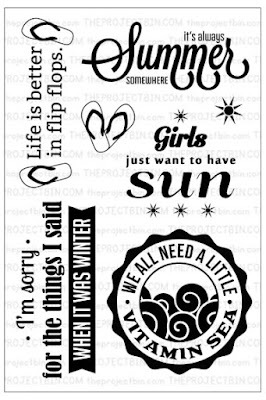 perfect stamp set for this time of year! then die cut a few shapes and glued that together. I used a plain 'ol flat, size 10 sable paintbrush and ink ~ water combo. to create the splatter effect. Rinse, repeat with 2 other colors and the background is complete! and propped up the stamp with foam and ta-da! 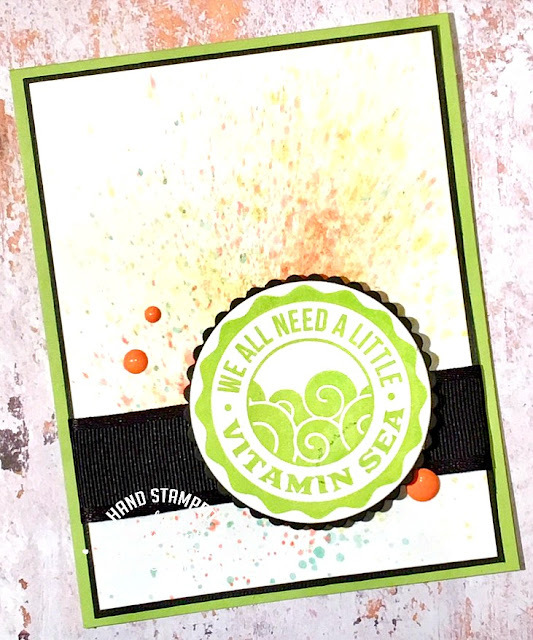 Here's another look at the stamp set - perfect, right! Tomorrow, we're off to hike in the Everglades in one of Florida's elusive parks. I'm half excited, half scared outta mah wits! LOL! Barb is the hostess for the Divas and Tracie for the Dazzlers. we had two rose images to work with ~ I chose the Hero Arts rose. so I'm really excited Barb's kit was so generous. 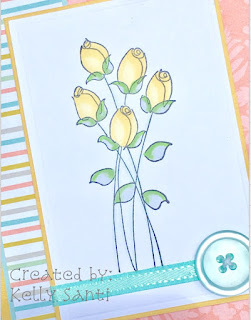 With the second rose image, I'm planning a second card soon! and Barb/Tracie for your wonderful theme this month! 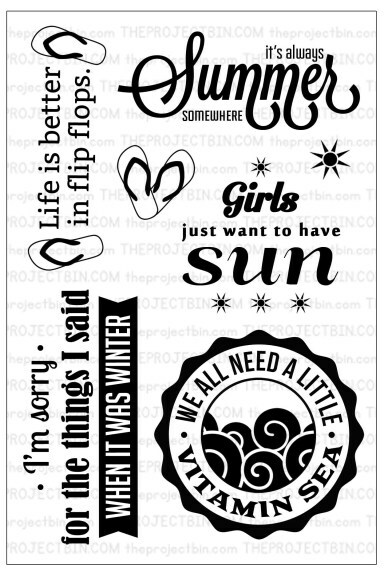 Mondays with The Project Bin ~ No coloring! I decided to step outside the box and do something different. My entire card is die cut and paper pieced ~ no coloring! 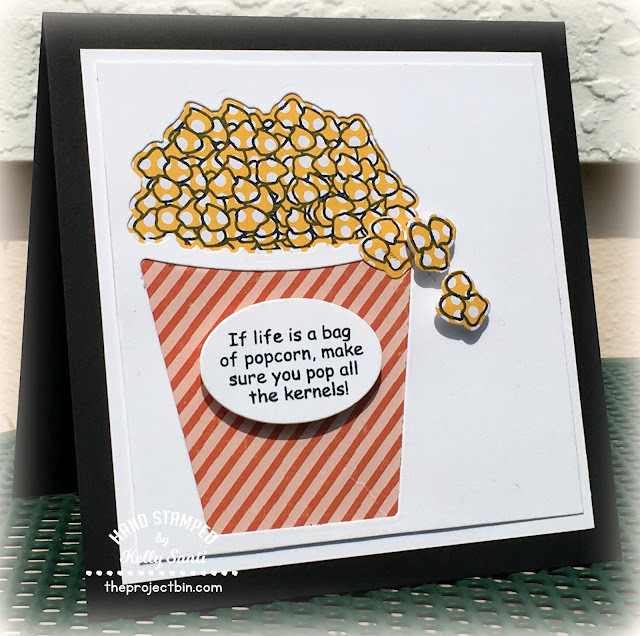 I die cut the cardstock directly with the popcorn die. 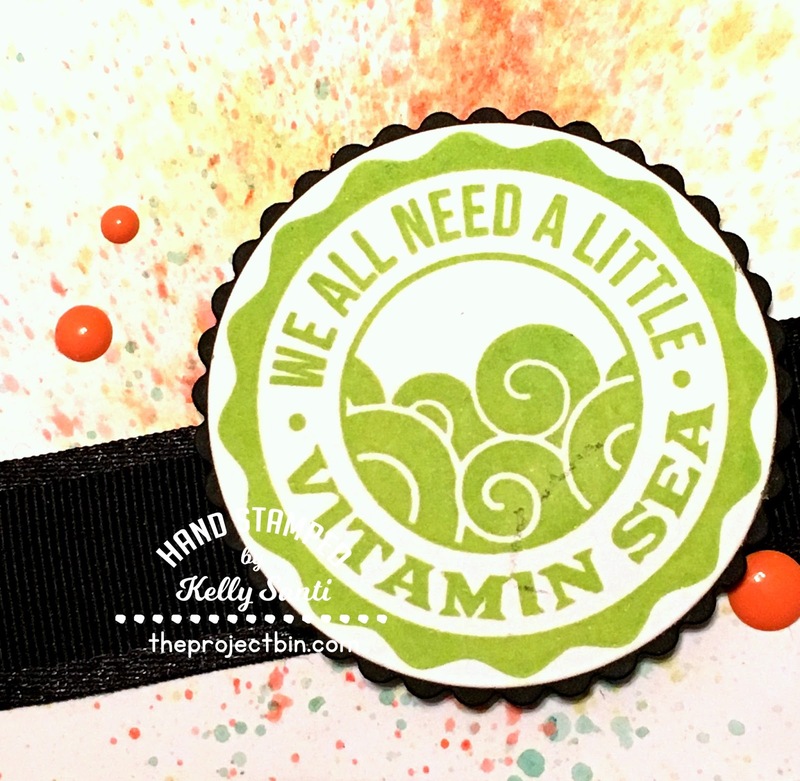 I added some patterned paper as the focal point under the die cut area. 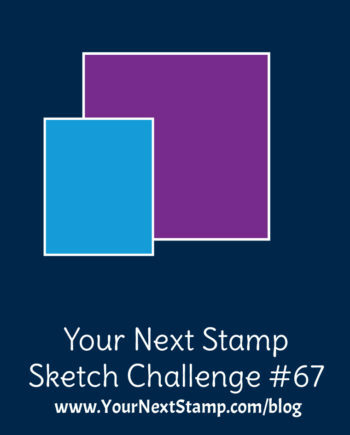 and the only 2 areas that are stamped (not colored!) for an outline. I also wanted to share some really exciting news. 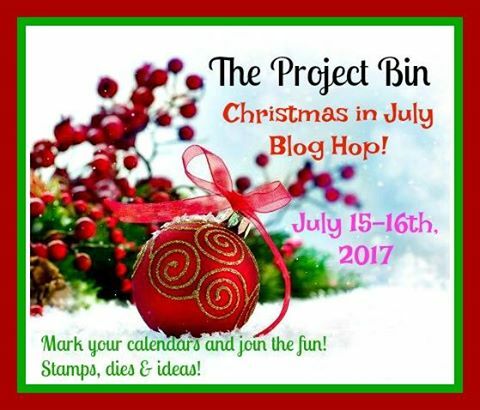 The Project Bin will be having a Christmas in July blog hop! 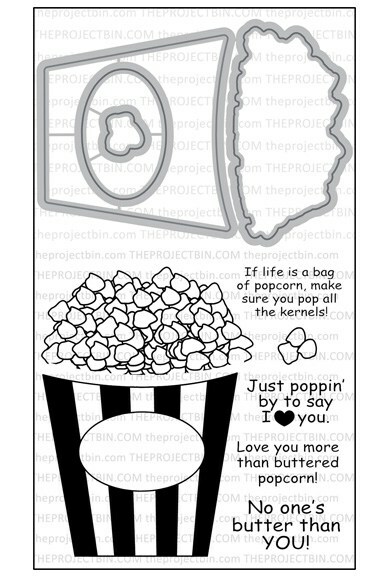 This week you'll see a few 'catch up' cards as well. for the Just Poppin' stamp and die set and more! Mondays with The Project Bin ~ get messy! 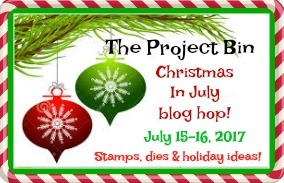 What did I make for you with The Project Bin stamps today? and it's always great fun. It's like finger painting - for moms! is instead of using my reinkers, I used 'ol fashioned food coloring. The colors are amazingly vivid and striking! 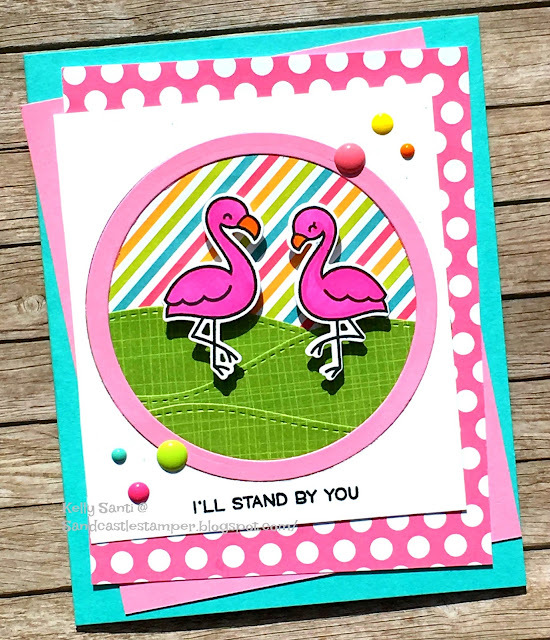 then ran them through my Cuttlebug with the coordinating dies. I propped them onto the brightly colored background with 3D foam. but it was just the perfect color for the contrasting 'busy' colors. The banner was the last stamped touch, right onto the dsp. Since it was so busy, I added a few matching enamel dots and that's it! 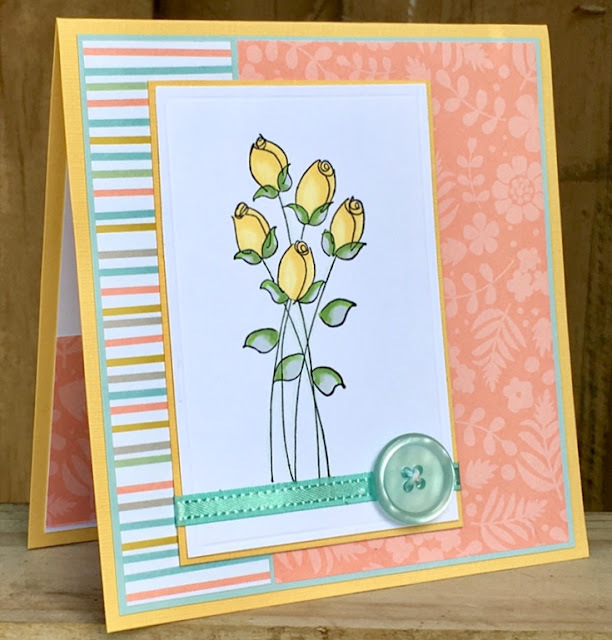 You can see more cards with this stamp/die set in the DT gallery. your cards will turn out PURR-fect! 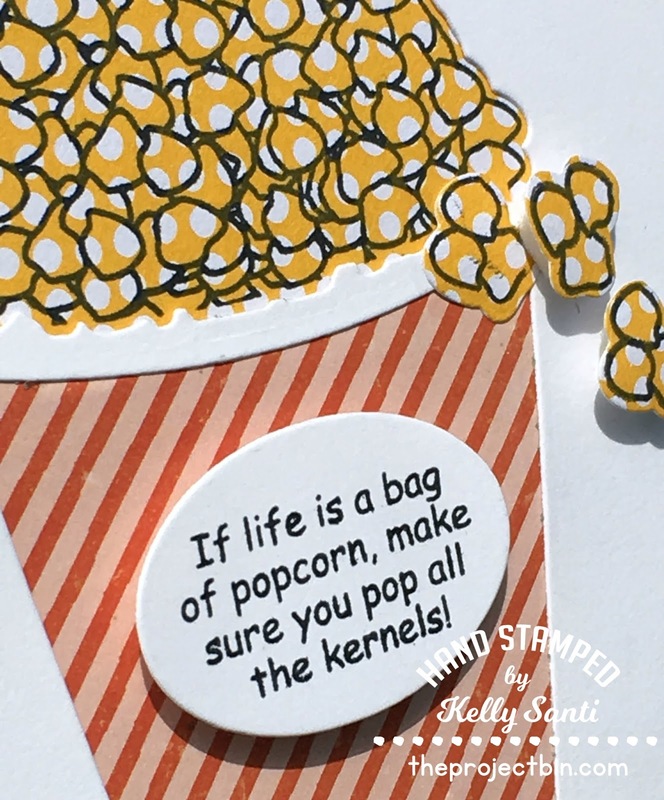 You can find this stamp/die set as well as many others in the shop!